Can mobile technology make us healthier? Ever since the first time the telephone was used to transfer an electrocardiogram in 1905, the healthcare industry has been looking for ways to use technology to benefit both the public as well as health professionals. It is only in recent times, however, that technology has allowed patients live, remote one-on-one access to health professionals. With the arrival of mobile videoconferencing tools and the wider availability of high-speed internet, the door has been opened to offer quality remote care that relieves financial and time pressure not only for patients, but also for their family. Telehealth, telemedicine, virtual care, telematics – What is the difference? At its core, medicine refers to the provision of clinical services to patients. As evolving technology provided us with the means to administer these services remotely, the word telemedicine (from the Greek tele- “at a distance”), was born. The term health, on the other hand, is much broader in scope. It can refer to any activity meant to inform, educate, and support patients and health professionals to prevent, manage or understand issues related to physical, mental and emotional well-being. While telemedicine refers specifically to the provision of remote clinical services, telehealth, sometimes also called virtual care, includes a broad range of technologies and non-clinical services to help patients and health professionals improve the healthcare delivery system as a whole. In the past, when dealing with physical or mental issues there was no choice but to book an appointment, wait (sometimes for weeks or even months), travel to the doctor’s office, then wait again for a consultation only a few minutes long. In fact, this is still a reality for many of the 4.5 million Canadians without a family doctor that may have to wait for hours in a hospital emergency room for a simple prescription renewal. This overtaxing of the healthcare system, along with the need for more flexible and cost-effective solutions, has created the perfect opportunity for telehealth to revolutionize the way healthcare services are administered. Discover 6 Benefits of Telehealth and Telemedicine for patients to caregivers and even employers. Quick and easy access to healthcare from home may have seemed impossible before the arrival of telemedicine. Now, mobility impaired individuals such as women with high-risk pregnancies, post-surgical patients or the elderly, as well as those living in rural areas, can benefit from timely and specialized care without the need to travel. Employees can also benefit from virtual care by consulting a healthcare professional without leaving their workplace, eliminating the need to take time off work to travel to a doctor’s appointment. When faced with hours of waiting, 68% of Canadians have reported skipping a doctor’s appointment or simply avoided seeing a doctor when they were sick, thus increasing the risk of an untreated condition becoming worse. Prompt access to a health professional is key to catch a health issue before it becomes more serious and takes its toll not only on physical health, but also on family life, work, finances and emotional health. On the other hand, early detection facilitated by the use of on-demand telemedicine technology can contribute to issues being more effectively prevented, treated or even reversed. With nearly 20% of all emergency room visits considered unnecessary , using a telehealth solution to help decide what to do about a health concern can contribute to reduce hospital and clinic overcrowding, which can be translated into cost savings and lighter workloads for medical staff. By referring patients directly to the appropriate healthcare professional, in-person clinic or emergency room visits can be avoided. As an increasingly popular feature of the healthcare system, telehealth has already proven to be an efficient tool in expanding accessibility of healthcare services while reducing the need to travel, improving patient outcomes and satisfaction, as well as promoting health literacy. As technology continues to evolve, there is strong evidence that telehealth will continue to grow into an essential way to provide cost effective and practical solutions to healthcare needs. 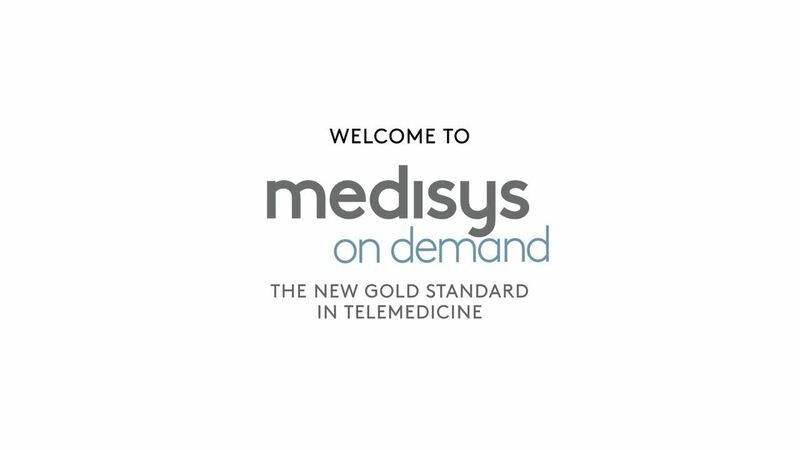 Click here to learn more about Medisys On-Demand.